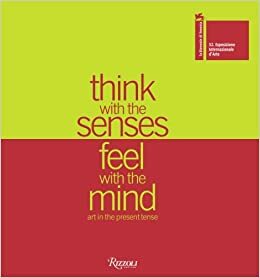 The 52nd International Art Exhibition "Think with the Senses - Feel with the Mind. Art in the Present Tense" ran June 10 to November 21, 2007. 319,332 people attended the exhibition. This was the most attended Biennale of the past twenty-five years and one of the most visited in the whole history of the exhibition. The show took place in the 25,000 square-meters spread between the Giardini and the Arsenale, was directed by Robert Storr and included the extraordinary number of 76 National Participations and 34 Collateral Events. The 42 free entrance National Pavilions spread around the city of Venice, hosted in historical buildings and churches, have been visited by more than 827,000 people. The 34 free entrance Collateral Events set up around Venice and the lagoon islands attracted around 650,000 visitors.